Tour Overview: The adventurous trip covers 3 major destinations of China within 14 days; it starts from capital of China and ends in Guilin. You will hike for 3 days along the less visited sections of the Great Wall in Beijing, where you can have a close look of this man-made wonder of the world, and then cycle in Guilin of Guangxi region, to those scenic places which have been favored by poets and painters for centuries, finally we will take a bullet train on fast developing network to Southeast of Guizhou Province. 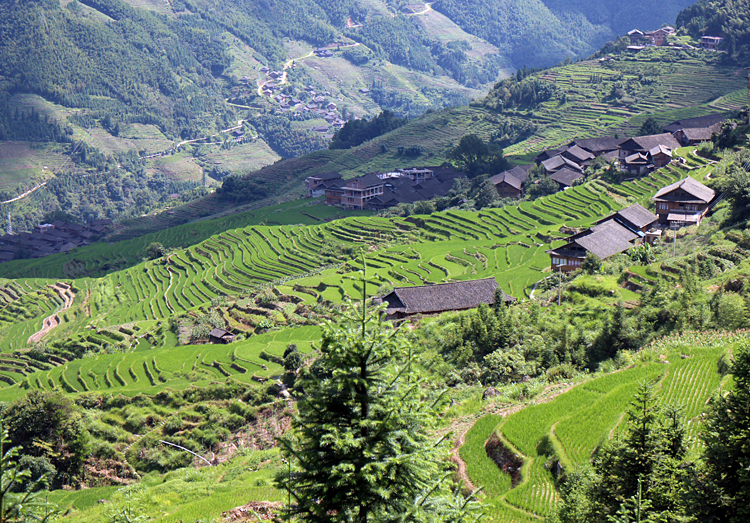 An adventure to ethnic Dong and Miao villages awaits you there. 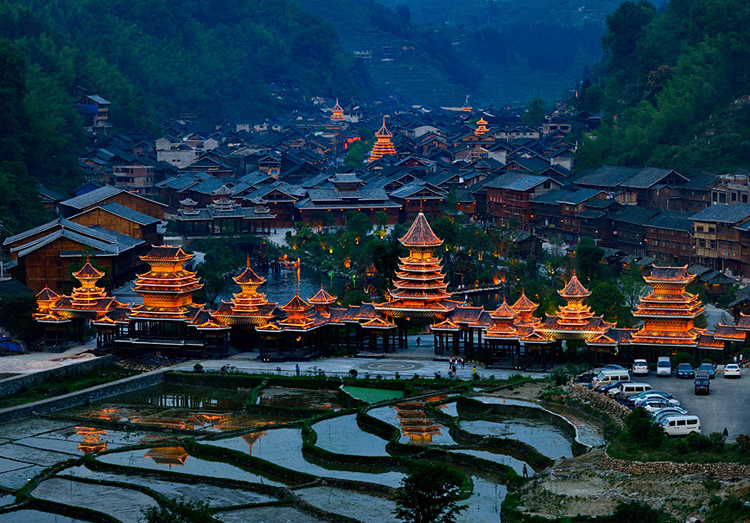 Besides cycling, you will have a glimpse of minority cultures and heritages in Guizhou. - Folk, scenic and culture of China. Our professional guide will meet you at Beijing airport and transfer to hotel. Free at leisure for rest of the day. Accommodation: Local featured 3-4 star hotel. Pick up from our hotel after breakfast. You will take a private van escorted by a tour guide to see the highlights at downtown of Beijing – no cycling today. The first stop is the Temple of Heaven, where the emperors prayed for the good harvest in Ming and Qing Dynasty. You will see many locals doing morning exercises here. After lunch, walk across Tian'anmen Square and enter the Forbidden City, which served as the home of emperors and their households as well as the ceremonial and political center of Chinese government for almost 500 years. 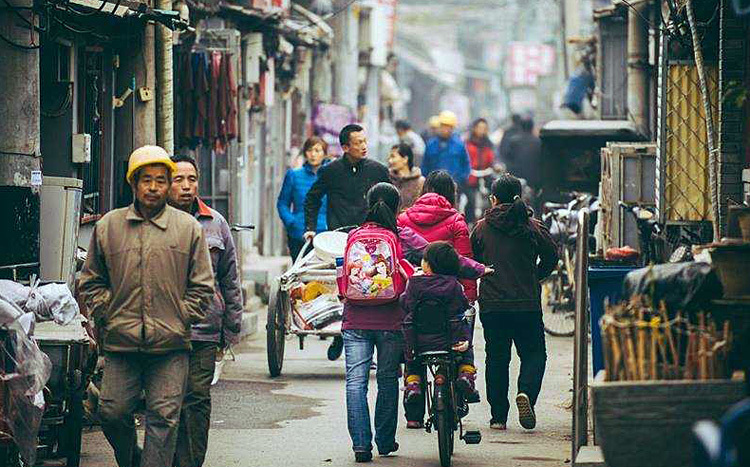 If time permits, you will have a walk at old quarters of Beijing to see the local people's life. 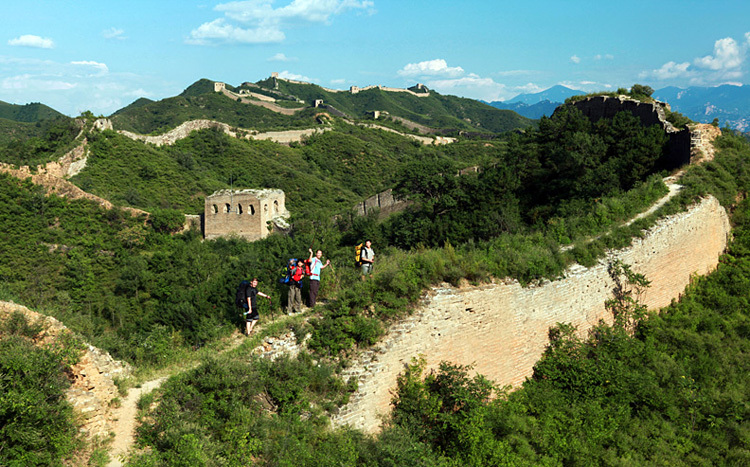 The walking today starts from the bottom of Jinshanling Great Wall – northeast of Beijing city. 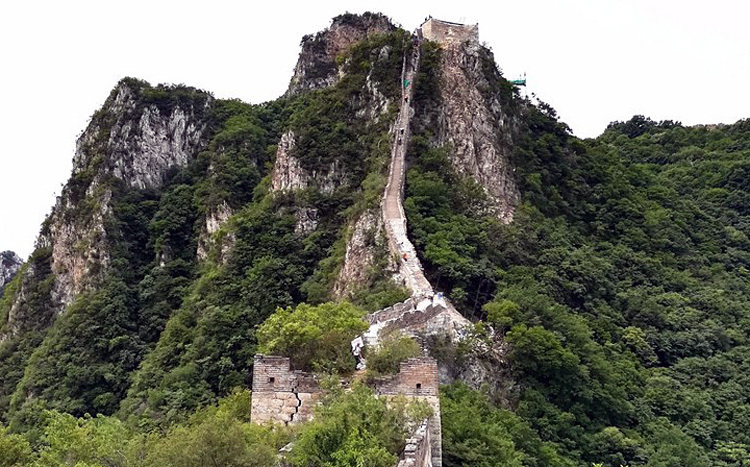 We hike between Wuyan Tower, the top for today's hike, enjoy the best panoramic view of the Great Wall – Simatai part before walking down stairs for a long descend to our car. 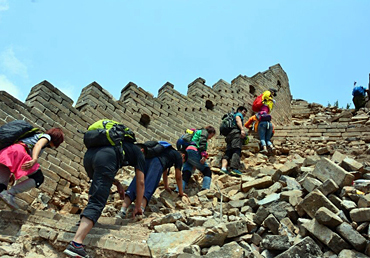 The hike on the wild section of the Great Wall is not as easy and comfortable as the regular sections crowded with tourists. You need a pair of good walking shoes. After around 4 hours tough walk, we will be transferred to the hotel. Accommodation: Local Hotel Near Jiankou Great Wall. The Jiankou section of the Great Wall is known to be one of the most-beautiful parts of the “wild” Great Wall near Beijing, regularly-frequented by aspiring photographers. The walk today are steeper and more dangerous, enough water and food should be carried. 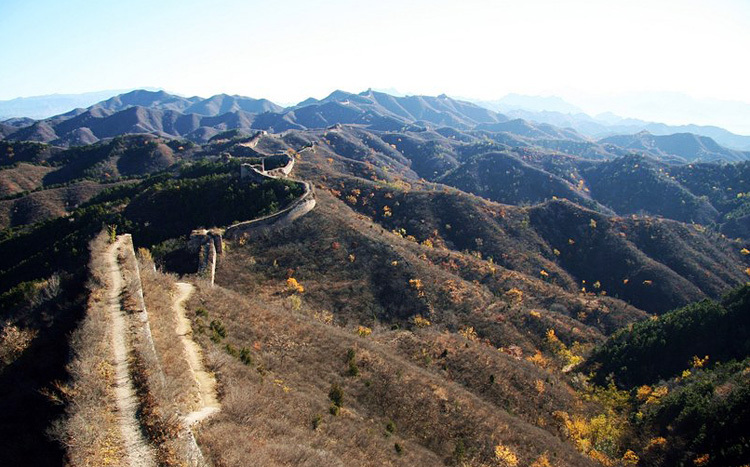 Today's walk will be the highlight during our whole 3 days, slow down and enjoy the last glance at the Great Wall of China – one of the 8 Miracles of the world. Accommodation: Local featured hotel near the Great Wall. Some Great Walls do not only exist at inland area but also along water! We begin the hike today by transferring to Huanghuacheng for a short visit seeing the Great Wall neighbored with reservoir and continue trip westward to Xishuiyu. 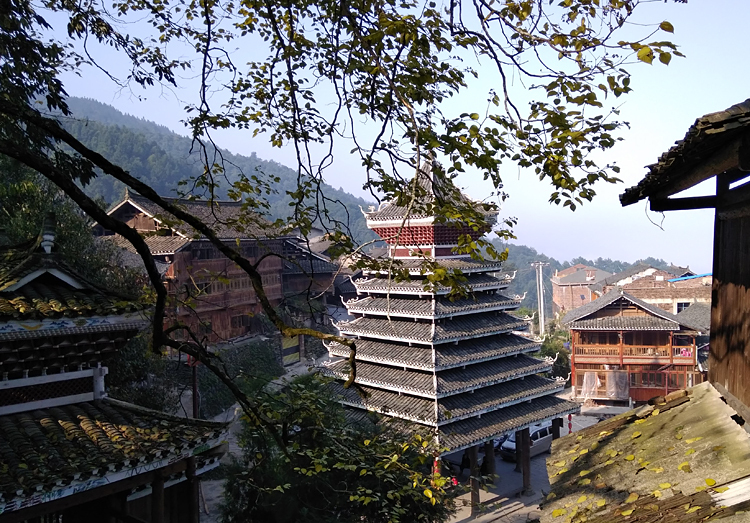 During the hike, the well-preserved Yaoziyu Castle built in Ming Dynasty, the Watch Tower, passageways, relics of stones and everything the our ancestor had been using for hundreds to thousands years can be found. We will finish our China Great Wall Hiking trip near the reservoir. Our smiling guide and driver will help us for the last dinner in Beijing tonight before heading for the hotel. 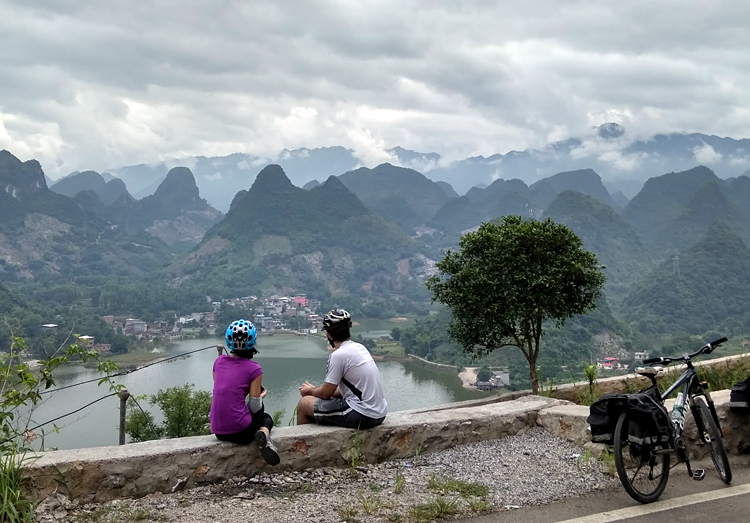 You will need to arrange flight on your own to Guilin city today, a morning or early noon flight is suggested, if you arrive Guilin late in the afternoon, you will miss the warming up cycle and adaption to our bikes today, we will start the cycle around noon (2PM). The cycling distance is around 30KM. The itinerary today is flexible if you need a break after 3 hiking days along the Great Wall. The bike ride today is at an easy level. Our guide will take you to go out of the downtown via some roads with less traffic. Then visit a local wood carving market full of giant artworks. You will probably be amazed by the delicate work and great creativity of craftsmen. 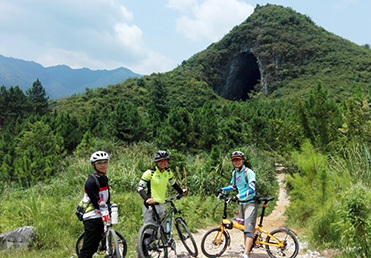 Continue the bike trip along Li River via a greenway surrounded by bamboos and other plants, riders finally arrive at Caoping town, where you can have an option to visit of the Crown Cave – a big & beautiful limestone cave where you can experience boating, sightseeing elevator and mini train ride inside. Notes: If more than 5 rooms are needed for the group, the places to overnight will be changed today to some bigger hotel nearby. The best limestone views are hidden within the areas we are going to bike today. More skills for climbing on bikes are needed but we are rewarded with the stunning pictures composed by reservoir, mountains, river and roads. 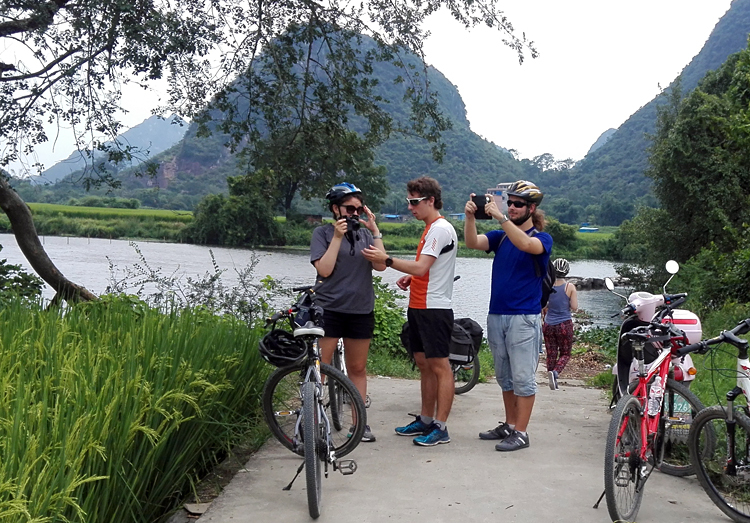 After lunch at the foot of Hebao Hill (a popular spot for photographers), we cycle through small villages, pomelo trees, tea plantations and rice terraces. 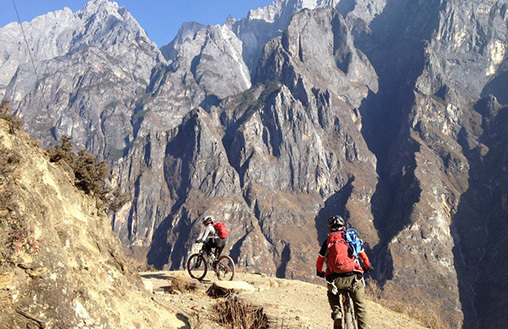 You will ride in the stunning Yulong River valley. It will be dirt trails through rice fields surrounded with mountains. The cycling trip concludes at a charming hotel hidden in a local village. If weather permits, we'll eat under the stars. Accommodation: a character hotel in Yangshuo. 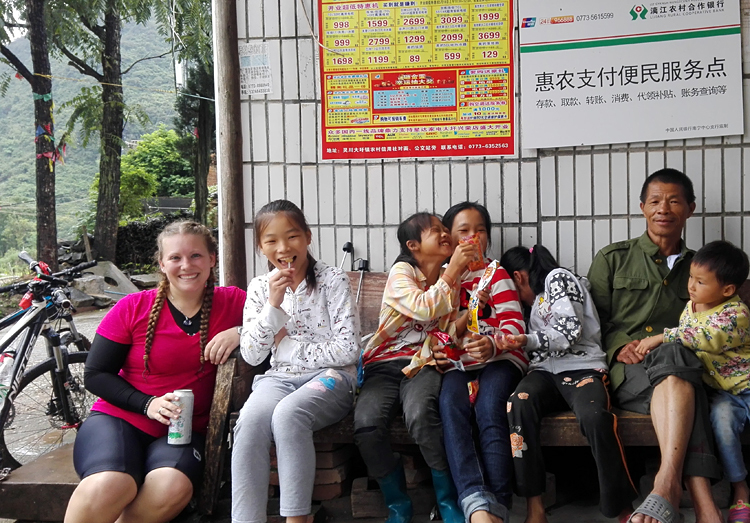 It is about 2.5-hour drive from Ping'an to Fulu, where we start to cycle. After crossing the river by boat, we cycle around 7 km to the village we'll stay tonight. 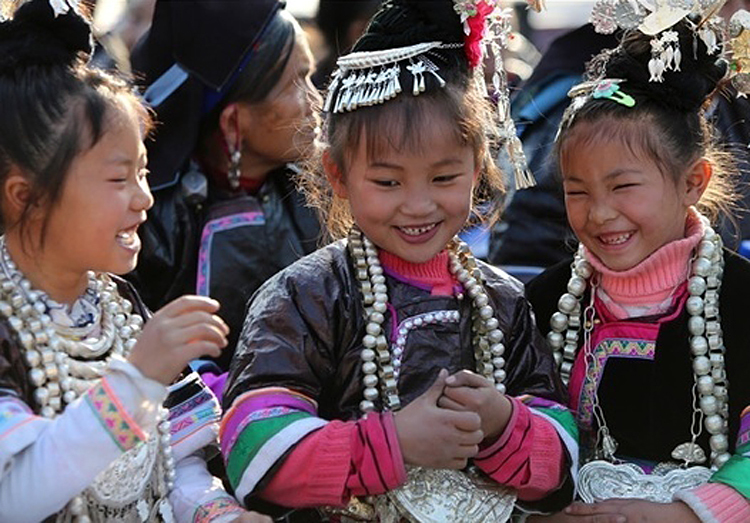 Get the best chance to have a close touch with two ethnic groups in small village of Yao and Dong. You will enjoy their colorful tradition and custom. Today's ride is on countryside roads in mountainous areas with lots of small uphills and downhills. After breakfast, we start to hit the road. From here we cycle about 30km to Xishan village, where we'll take a break for our lunch. We continue our journey towards Basha. The last couple of kilometers before entering Basha village will be on a very steep climb. We will arrive at the village in the afternoon, have a rest and enjoy the cultural experiences there. Basha is the last gun tribe in China, where men are allowed to carry hand-made guns. Accommodation: Local hotel inside Basha Scenic Spot. This area is home to different Dong communities, a group of linguistically related minorities. During our cycle we will pass by wooden houses, often on stilts with livestock and poultry living beneath. The Dongs wear brightly colored embroidered clothing and observe strong cultural traditions including a love of storytelling and music. They celebrate many festivals during which the folk singing and dancing performances are pratised. You can see the traditional handicrafts including weaving material and tools, batik and embroidery. We will stay overnight at Xiaohuangcun village. 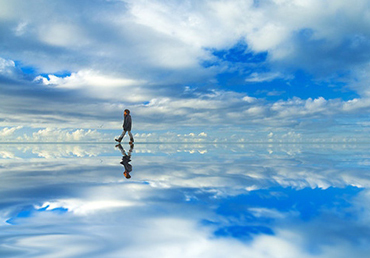 It will surely be an eye-opening experience for you in the less-visited area of China. We can enjoy a folk song performance at night by local villagers. After breakfast, we will drive directly from Xiaohuangcun to Zhaoxing, a major habitat for Dong people, where we can learn more about Dong's culture. There is a musesum in the small town. Right here you can see five Wind and Rain bridges and five drum towers as the town consists of five small Dong villages. 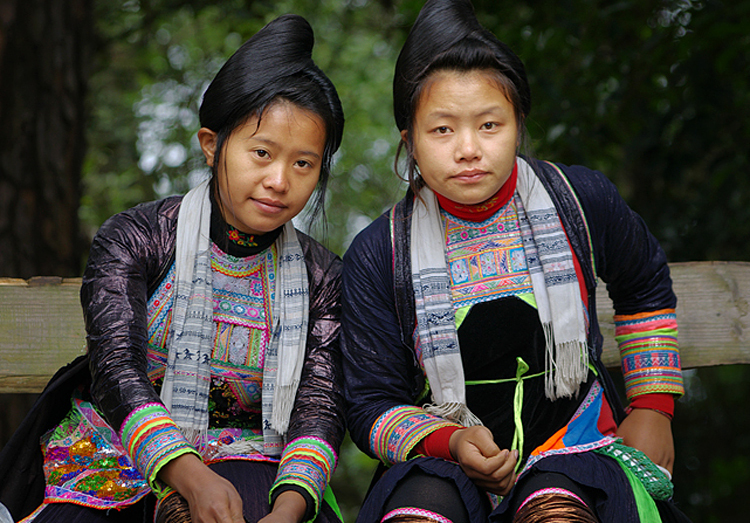 The local Dong people still wear traditional costume and speak their own language. Their history, tradition and philosophy have been passed on from generation to generation in the form of music with choral singing accompanied by unique wooden pipes dances and the never-ending songs. We will watch the dance show, listening to their traditional music in the evening. Today we will go with the fast train back to Guilin and relax. You will have a good chance to walk at downtown of Guilin city and do some shopping for souvenirs before leaving for your sweet home. Transfer from hotel to airport is included for today or tomorrow based on your plan. Prices: USD2970 p.p (2 person), USD2750 p.p (3-4pax). Single room surcharge: 300 USD . 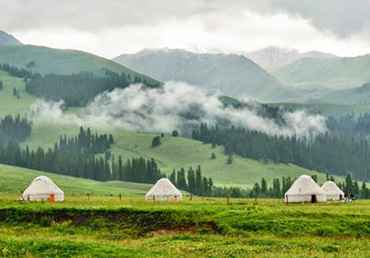 Private van transfers based on itinerary.